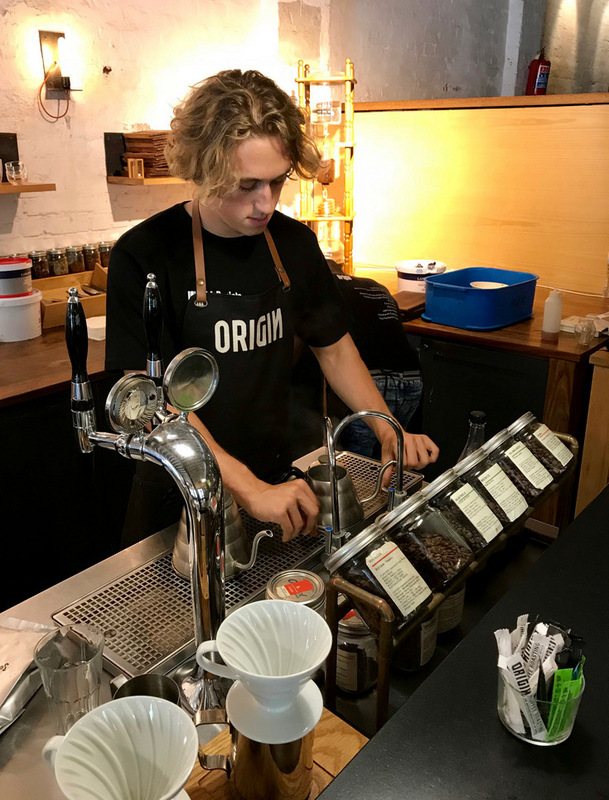 Last weekend I had the best time over at Origin Coffee Roasters in De Waterkant checking out their Brew Bar concept. 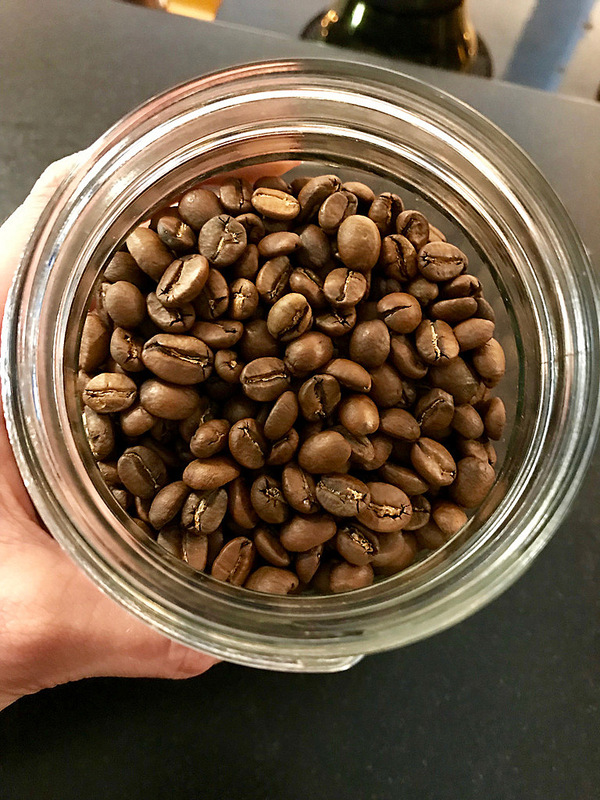 Now I will admit, caffeine and I aren’t the best of friends most of the time, but who can resist the smell of a freshly brewed cup?? 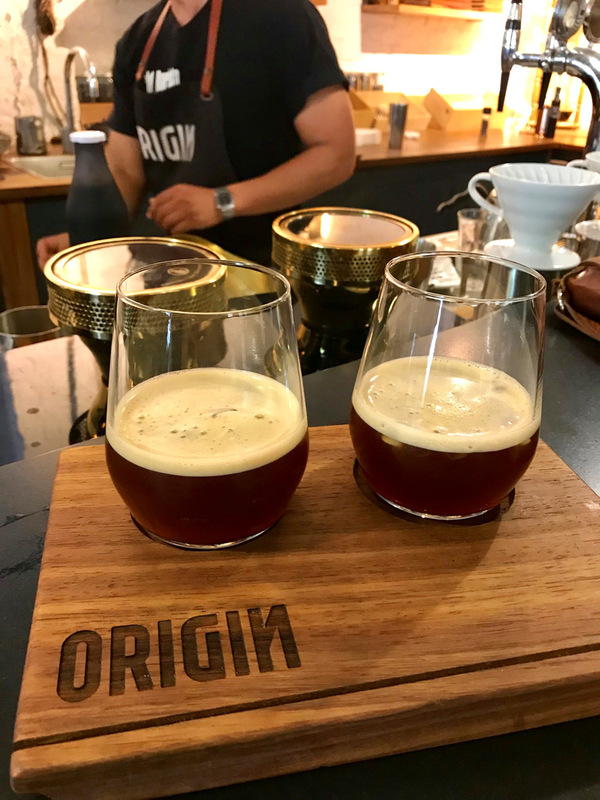 Now the awesome thing about the Origin Brew Bar is that it’s completely FREE. They’re really just wanting to spread the coffee love with anyone who’s keen to learn more. 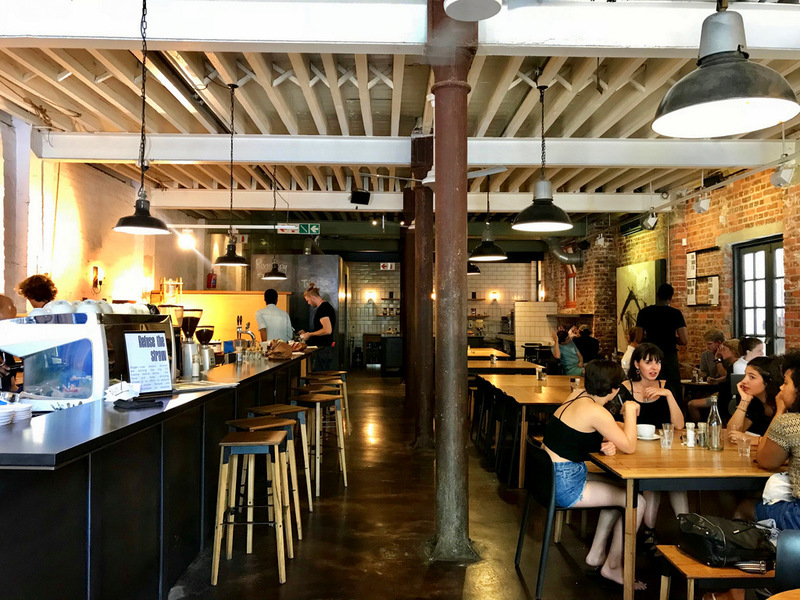 You also don’t have to book before hand, you can simply pop your head in and take a seat at the bar. The only advice would be to avoid peak times, like early mornings during the week and 8 – 11 on Saturdays & Sundays. 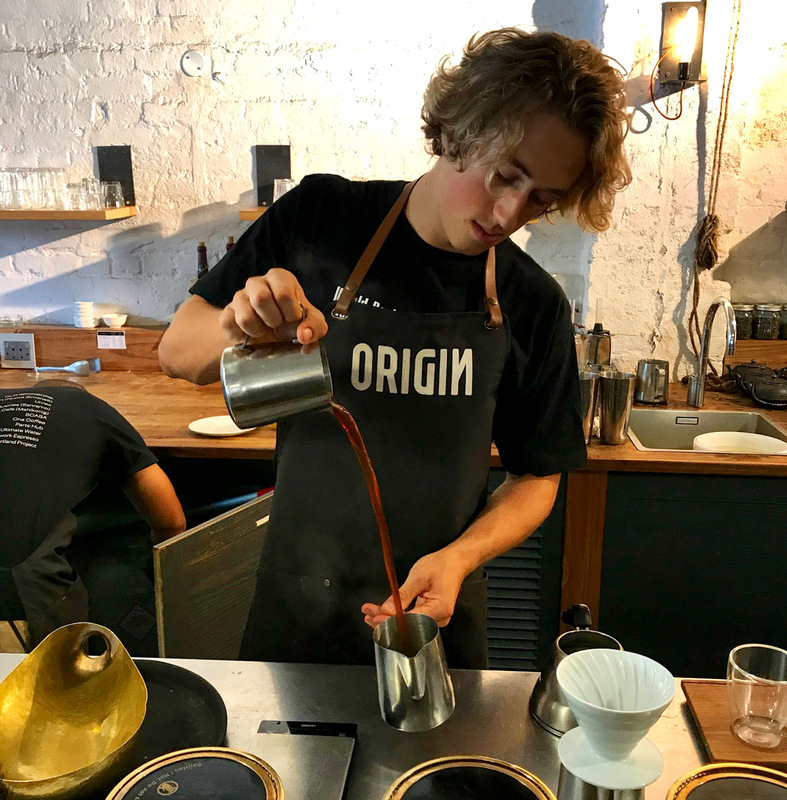 It just becomes a bit too jam-packed and you’re rather gonna want to sit back and take your time while one of their skilled baristas take you through various brewing techniques while you sample a couple of different beans & blends. 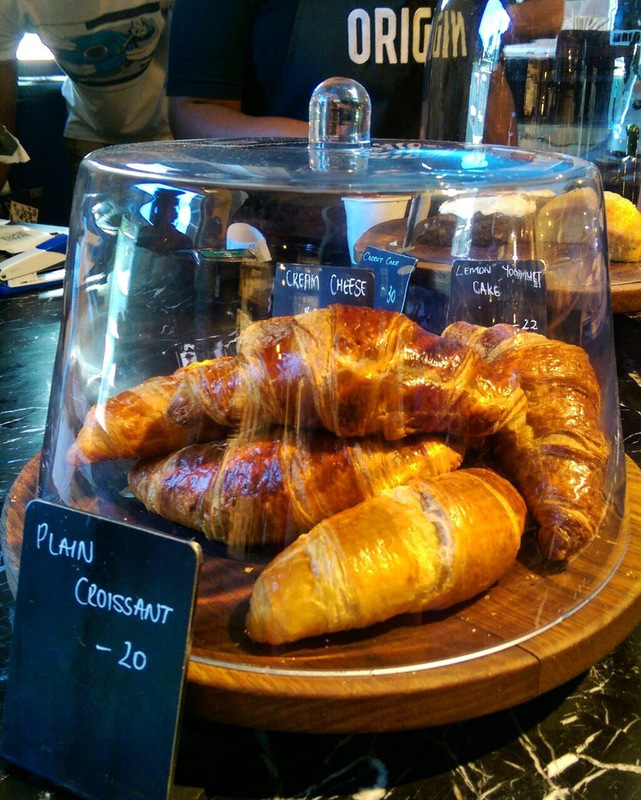 Our barista was the lovely Josh. 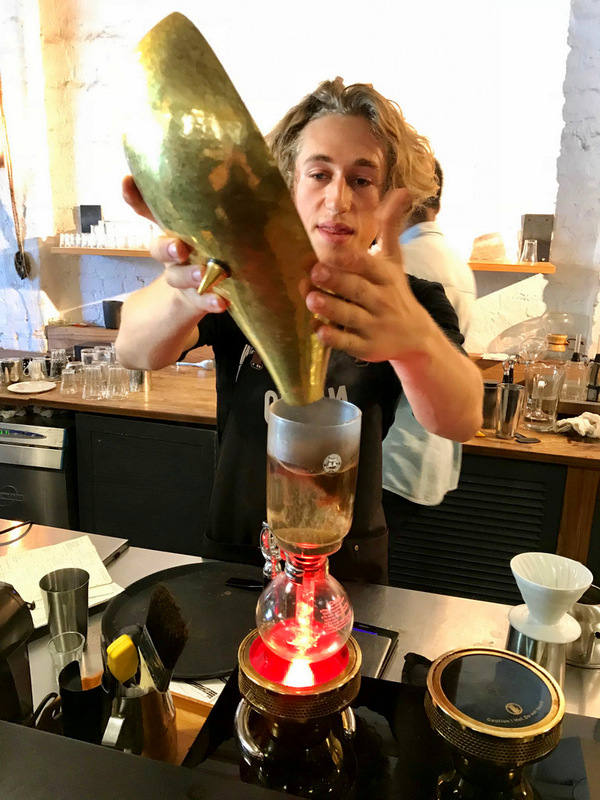 He took us through 2 different brewing techniques: the Aeropress & the Siphon technique while we sampled their El Salvador FINCA LORENA and their Rwanda BUF CAFE PEABERRY. 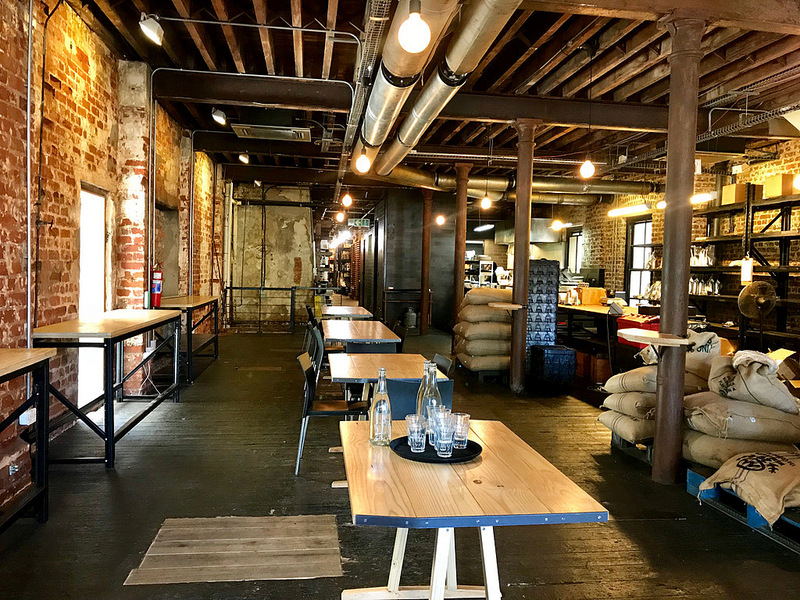 But before we got down to the coffee goodness, we took a quick peek upstairs to have a look at their Barista Academy and roasting space. 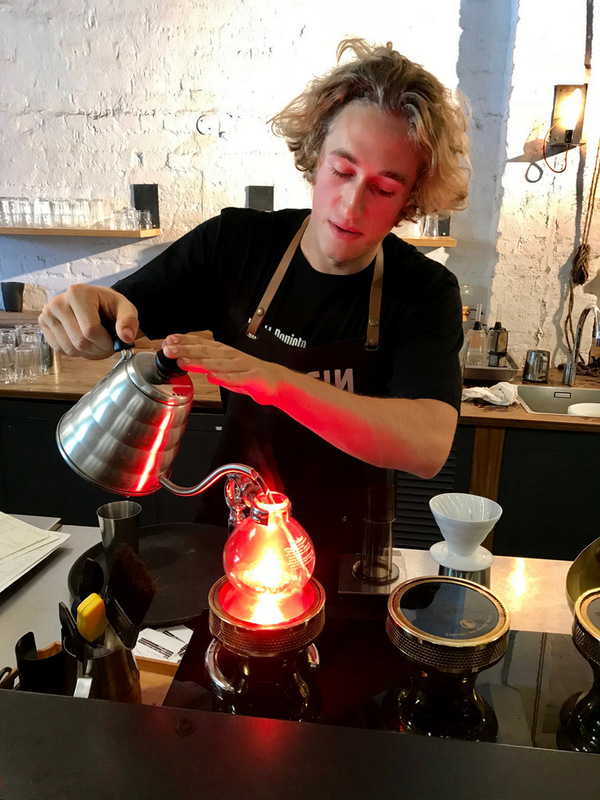 Their Barista Academy has trained over 4000 baristas who now pour fantastic cups of coffee across SA. 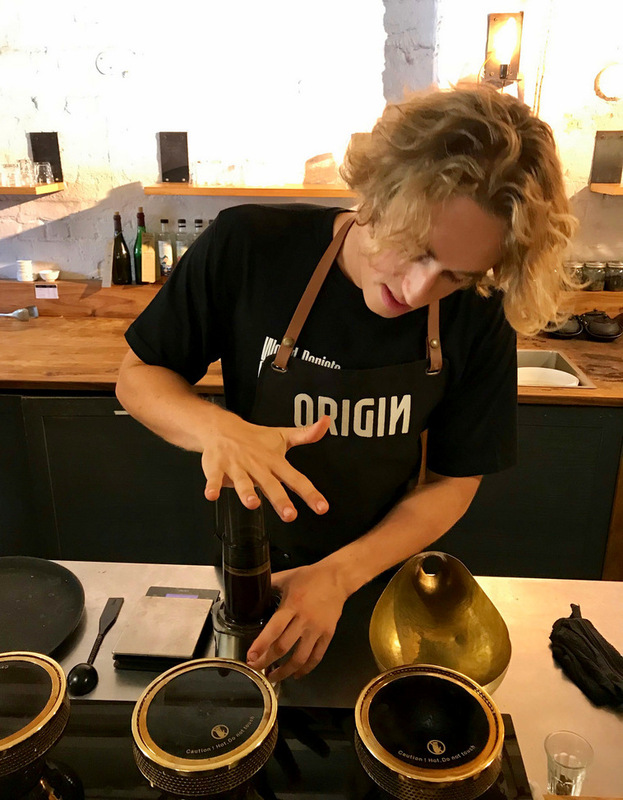 They offer various courses (which you can read about over here), and it’s not just for the budding coffee professional, but also for the average Joe who wants to learn how to make a mean cuppa at home. Cool right? 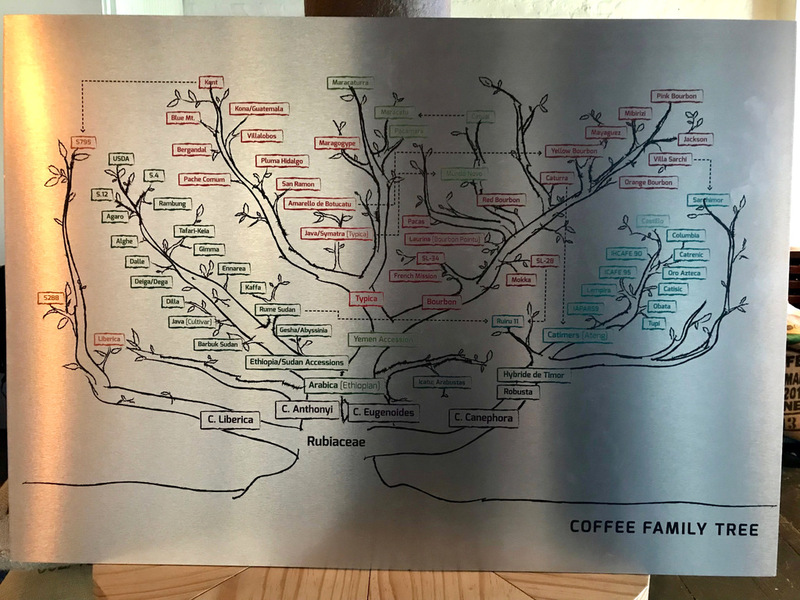 I never even knew there was something like a coffee family tree… did you? 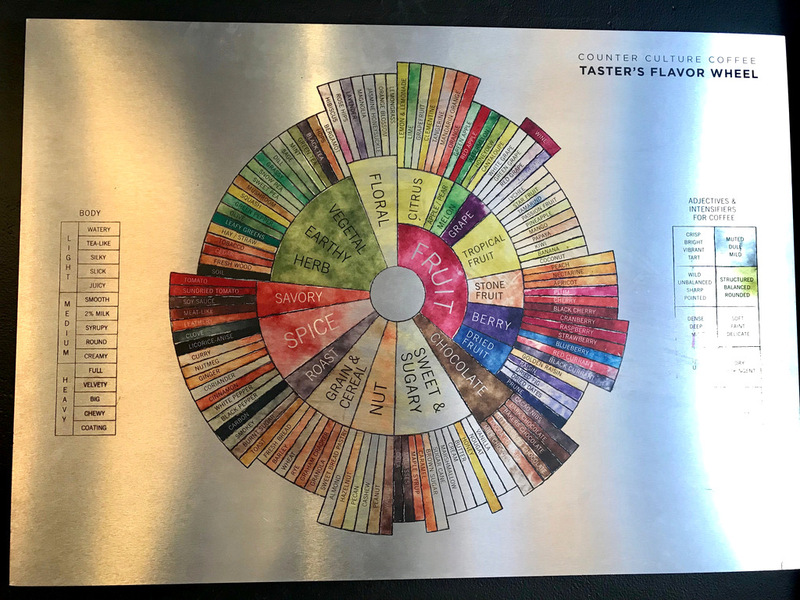 This coffee tasting stuff’s more complex than wine tasting I tell you! 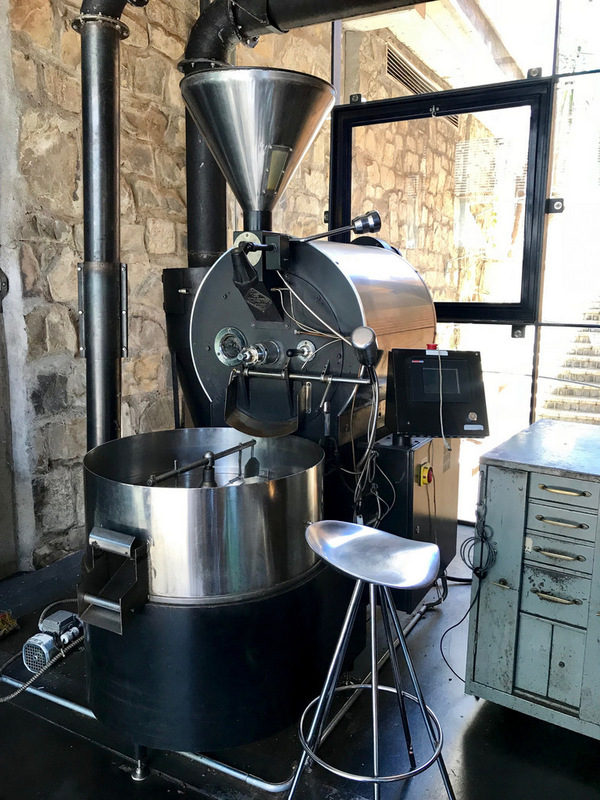 And then of course the real deal… All the beans, which they source from Africa, South & Central America, are roasted here on the premises. 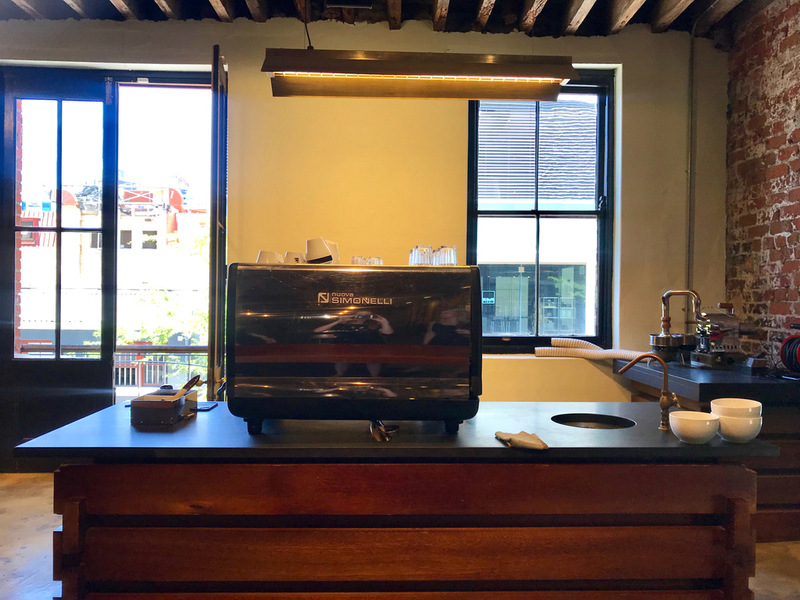 Back downstairs, we settled in at the bar while Josh wowed us with his coffee knowledge & skills. 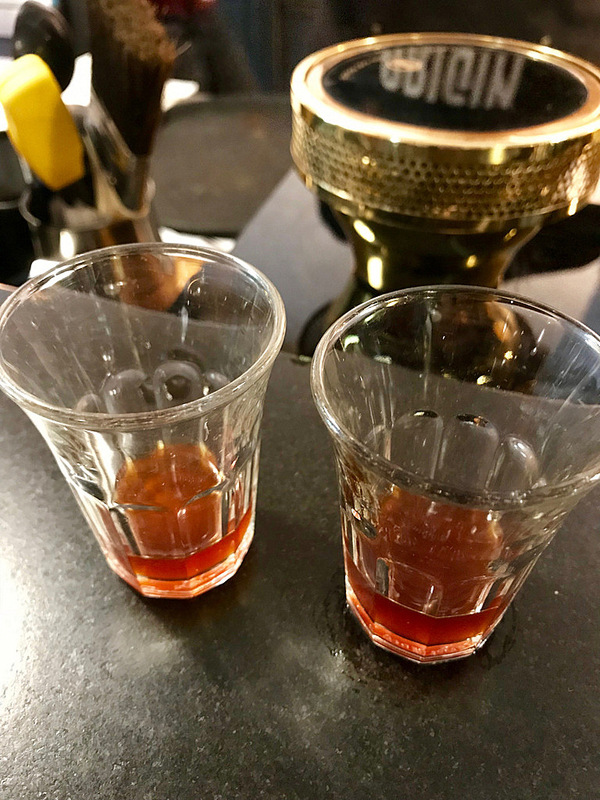 As I mentioned above, Josh took us through both the Aeropress & the Siphon technique while we sampled their El Salvador FINCA LORENA and their Rwanda BUF CAFE PEABERRY. 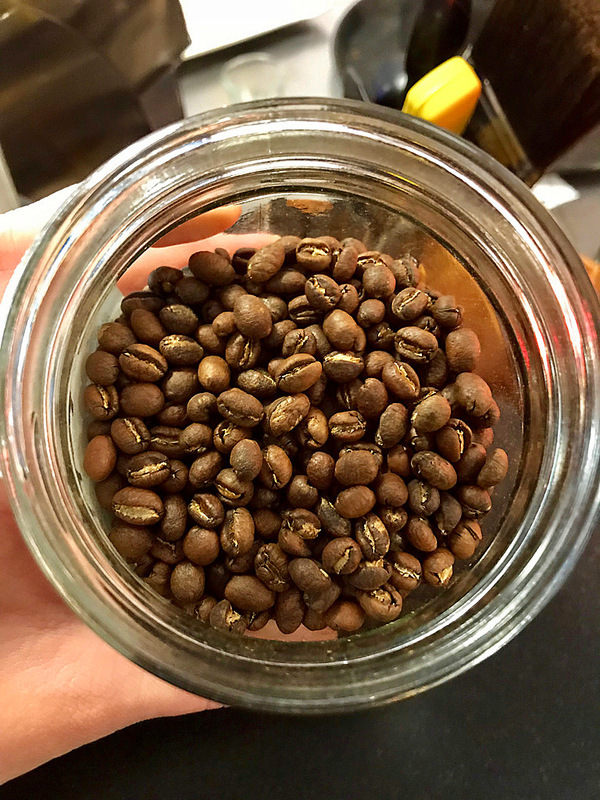 Read more about all the various brewing techniques over here. But yeah, really such a cool experience and I learnt so much. 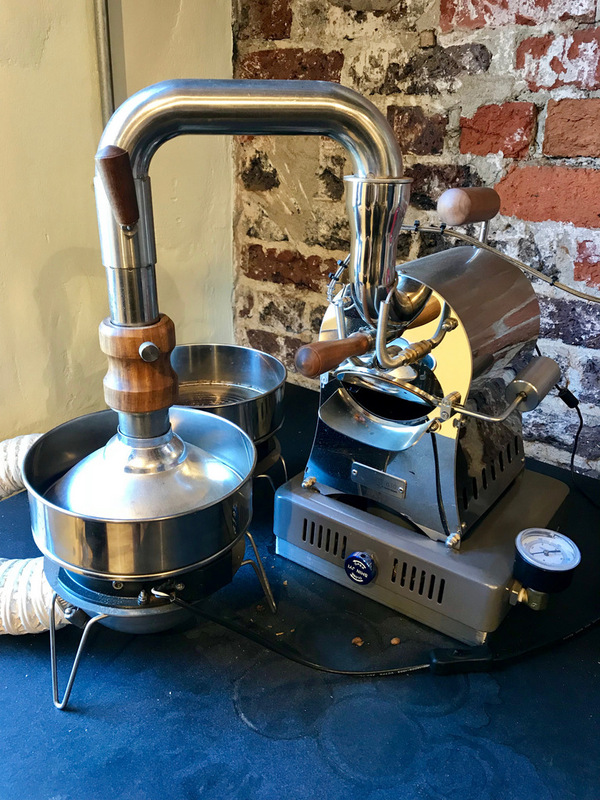 The other great thing is that you get to taste & learn and then you can just pop over to their little retail section and buy the coffee (and or brewing tools) you liked most for home. 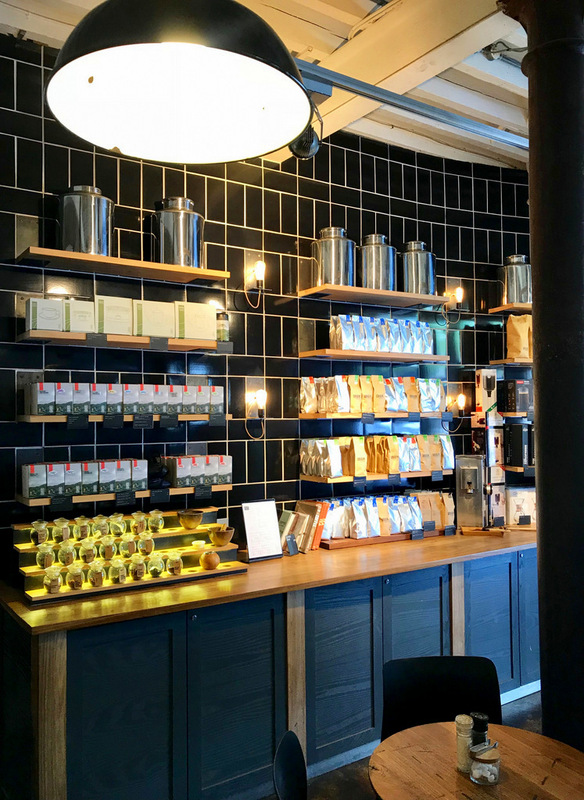 But you can also choose from a selection of hot and cold breakfast and brunch options (served all day), salads, burgers (with and without the bun – the Chipotle Wagyu beef burger sounded amazing btw), steak & salad, and even a Vietnamese pork noodle bowl. 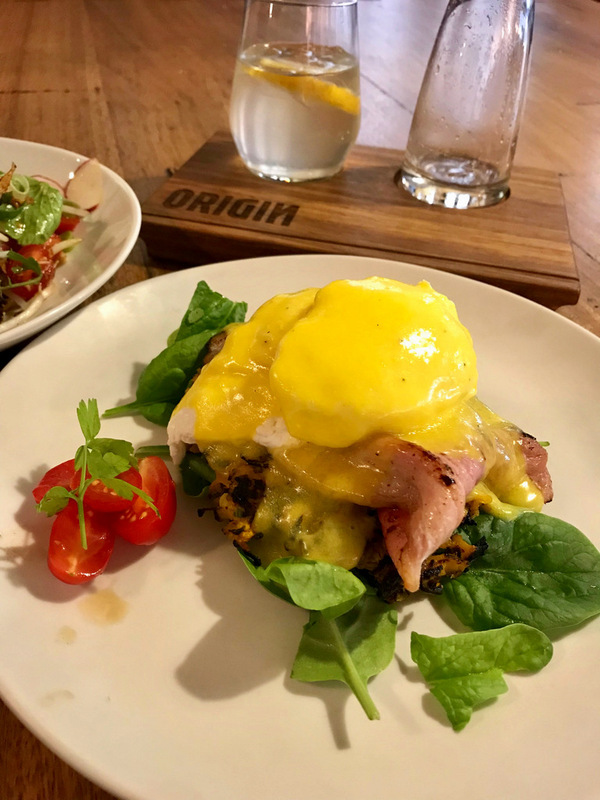 My friend Leigh (who was my partner-in-crime for the day) and I are both trying to eat a bit better, so we ended up sharing their Banting Benedict with butternut rosti (R70 – add bacon for an extra R20) and their Vietnamese grilled chicken salad (R90). 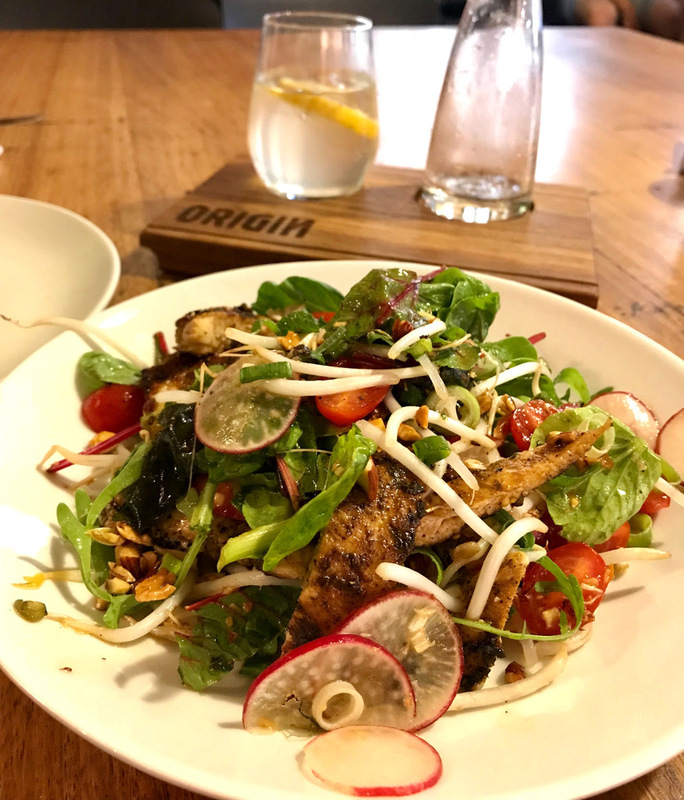 Both dishes were seriously good – it was a double thumbs up all round. 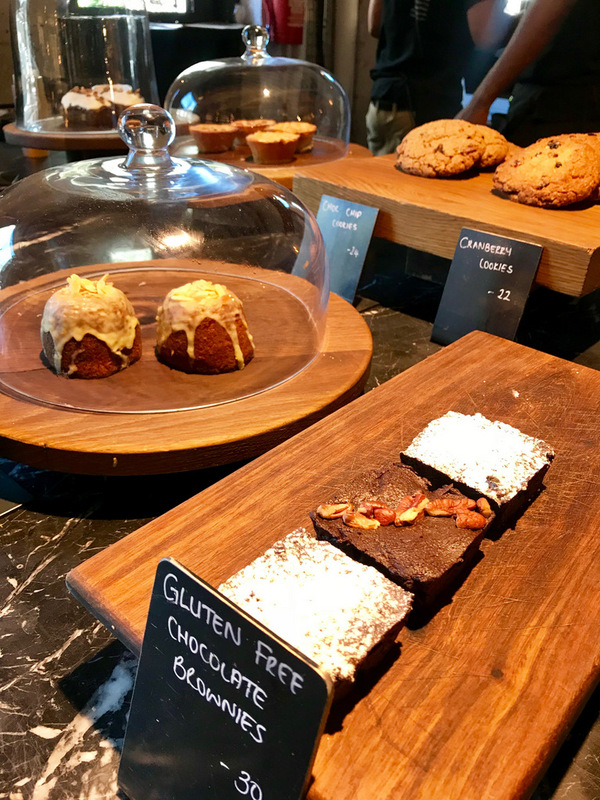 So yeah, as the title of this post says: If you’re a coffee lover, you simply have to check out the Brew Bar at Origin Coffee Roasters, and while you’re there why not grab a bite to eat too. You won’t regret it.